Hooper & Co certainly did make very special cars and this is no exception. 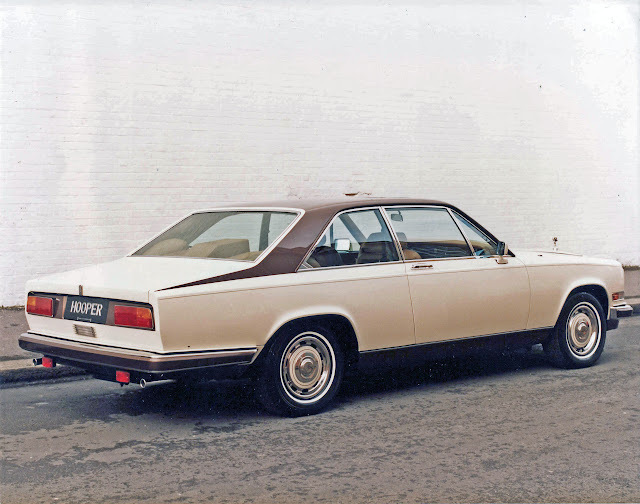 It is a Rolls-Royce Camargue Beau Rivage by Hooper. That's right, a 'beautiful shore' version of a department of the Côte d'Azur. An appropriate name for the most expensive car available at the time, then taken to a coachbuilder so that you can spend just that little bit extra money on a machine that takes you from A to B. Sure. Well here it is, in high resolution the Beau Rivage Camargue by Hooper. Click to enlarge. It is in the detail that makes Hooper cars special. Colour coded wind screen wipers, pin stripes on the hub caps, front air dam, lower sills, colour coded front lamp surrounds, and just take a look at the two tone colour scheme. How good it the roof colour line on the rear quarter panel. It is very sharp! You just know that box on the rear parcel shelf is hiding something special. Probably a drinks fridge, more maybe a fax machine or a tape deck. Certainly something 1980's cool. This car was actually on the Hooper & Co. stand at the Geneva motorshow in 1983, and sold within 2 hours of it been on display. Big thanks to Nick Lang from Ekberg & Lang, Australia's largest specialists in the sale of pre-owned Rolls-Royce & Bentley Motor Cars, for sending in the photos. For those in Melbourne, currently on display at Ekberg & Lang's showroom is the 2 door Hooper Bentley Turbo R that was spotted that the RROC Federal rally last month with pictures and video of the car here. That might be an interesting post. The ad says the info at the top is for another car. 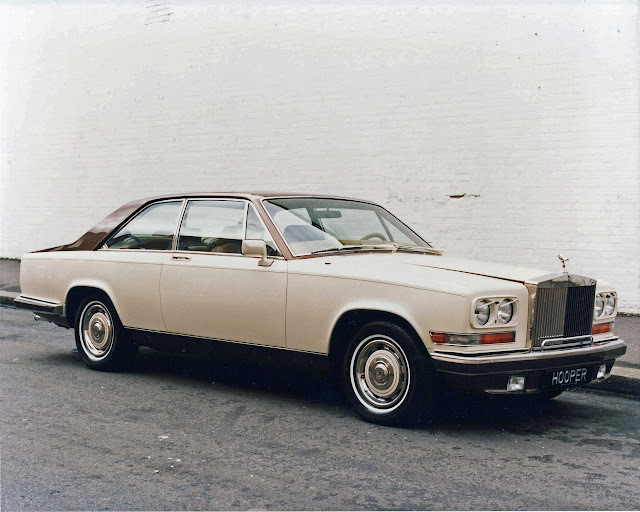 It's an '83 Mulsanne with all documents available. First owner was a well known BBC reporter, who send his car to Hooper. JVC RADIO/CD and Nav system , sunroof , new battery and starter engine,AVON tires, spare wheel with LM rim ,255/65/15 INCH , MOT 11-2011.